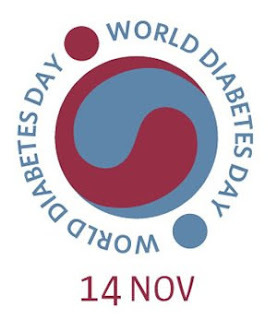 November is Diabetes Awareness Month, and November 14 is World Diabetes Day. I hope you'll take a moment to learn more about diabetes and ways in which you can help work for a cure and ways to prevent type 2 diabetes with healthy eating and living. 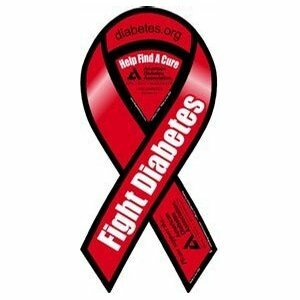 You can get information from the American Diabetes Association website. The Center for Disease Control reports that there are nearly 29.1 million people with diagnosed and undiagnosed diabetes in the United States alone. I have friend and relatives who have the disease. Do you know someone who has diabetes? Join us at the Sweet Romance Reads Cafe to chat with our authors. We love to hear from you. Sweet Romance Reads newsletter yet? The upcoming holiday issue should be a delight! 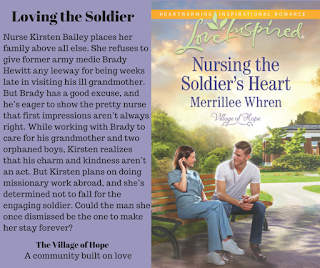 Merrillee Whren is the winner of the 2003Golden Heart Award presented by Romance Writers of American. She is married to her own personal hero, her husband of thirty-five plus years, and has two grown daughters. 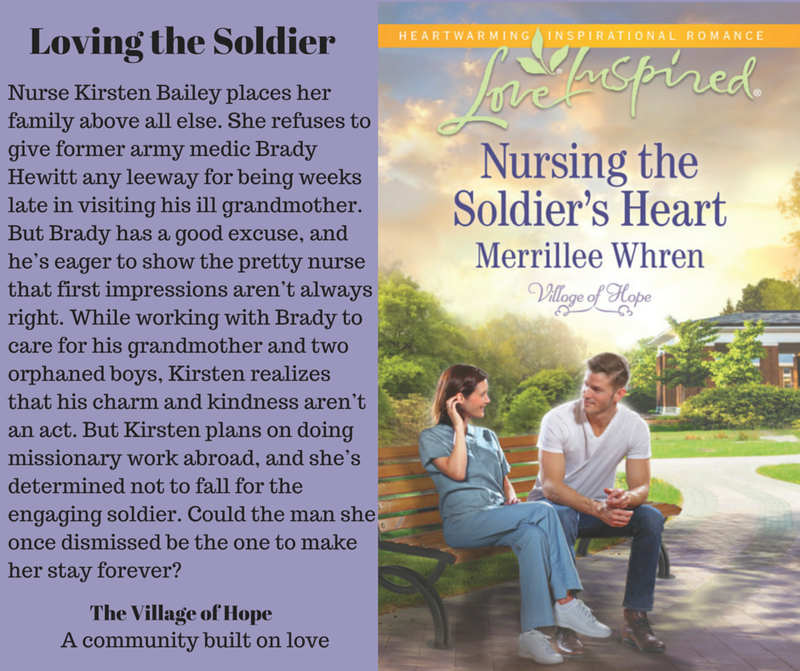 Her latest book, Nursing the Soldier's Heart, is available at all major book retailers. You can find the buy links at her website. Connect with her on her Facebook page. Such a good reminder, Merrillee!